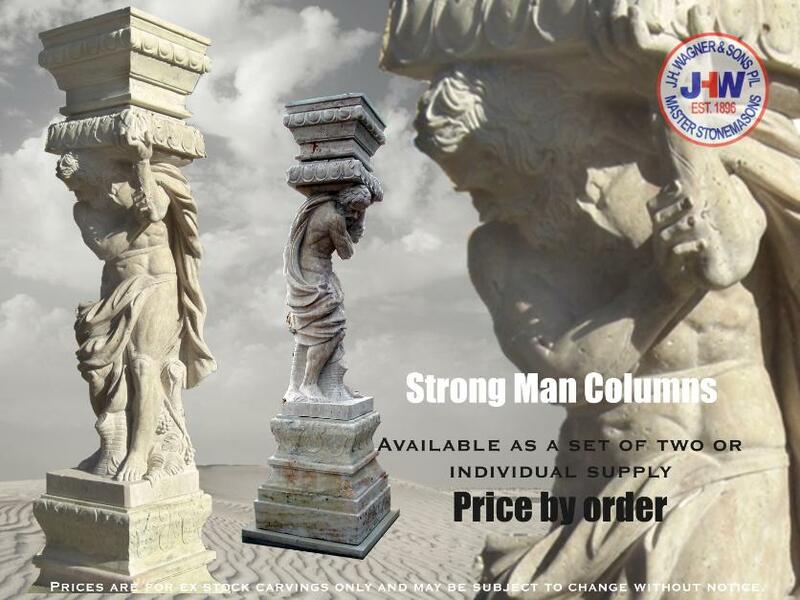 Marble Strong Man Column from J.H. Wagner & Sons. The Greek style of a Marble Strong Man Column can form a structural component of your home, an entrance to your landscaped garden or a corner piece to the gazebo in your garden arbour. Since 1896 J.H. Wagner & Sons have sought the strength and beauty of natural stone and with these fully carved Marble Columns we can now integrate the descriptive element of stone with artistic representation, enjoy the strength of marble.